After weeks of anticipation my fabfitfun box arrived yesterday afternoon and I couldn't wait to tear into it to see what Giuliana Rancic and her fab team had picked for us to sample. Here are the deets of this quarterly monthly subscription box! Here's what I've been waiting for! Love the gray and pink but the gray is a little darker than expected. It's light and will be perfect for fall and spring. They even threw in a $25 credit to use at gorjana-griffin.com. I'll definitely take a peek. I've been wanting to take a barre class so this dvd is perfect! I'll have fast body-shaping results in no time! The shades in this palette are uh-mazing. I'm not crazy about this item. I don't buy microwave popcorn but I'm sure someone will enjoy trying it. I'm excited about this! This is one of Allure's fave blowout cream hair care products and it doesn't contain any harsh chemicals. Love this brand of polish since it's free of DBP, formaldehyde and toluene. I've been into purple lately so this is perfect. I dig chia seeds so I can't wait to try this vegan bar. Vitamins to replenish lost nutrients after drinking alcohol. Pretty sure I won't need & use these. They also threw in a couple of coupons for a Bliss facial and a Pack-O-Fun cards from family and party games. 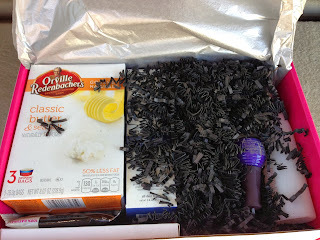 Overall I'm pretty happy with the products they chose and it was fun to get a box full of surprises. 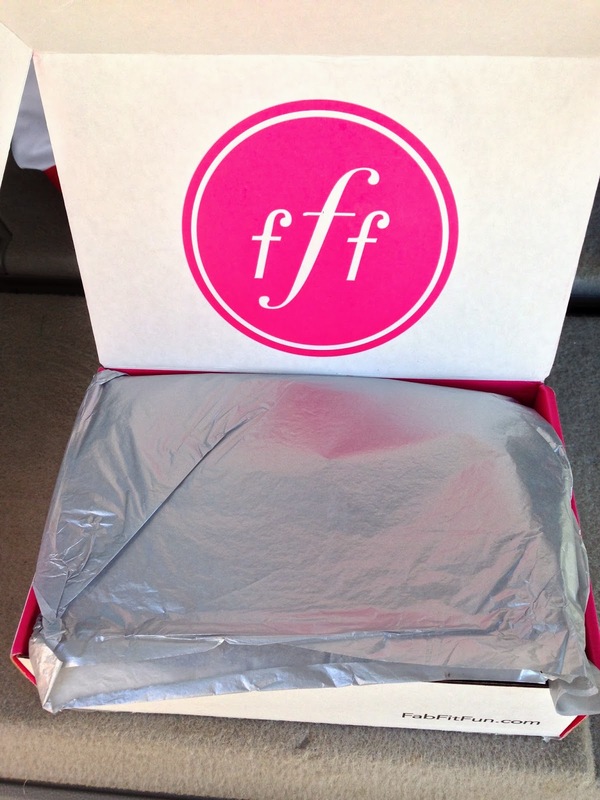 Now the wait begins for my winter box to arrive! Super fun. umm what's up with the popcorn? That seems random! Great picks! Who doesn't love getting fun stuff in the mail?!? Karen Yes! So random with the popcorn...Orville hasn't been in our house for years!